Photo: Deutsche Bahn AG / Uwe Miethe. 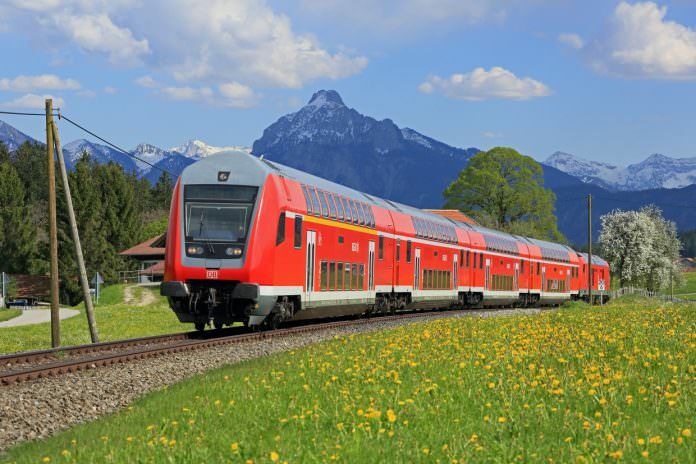 Deutsche Bahn (DB) has reported record passenger numbers on its long-distance rail services but is facing fierce competition on regional routes, a new report has shown. The number of rail companies active in the country rose from 412 to 421 last year. Although DB made ground on its intercity services – reporting a record 139 million passengers on its ICE and IC/EC services – competition on regional routes continued to grow and DB’s competitors now hold a 32.9 per cent market share. DB said its subsidiary DB Regio was in “catch-up mode” after reporting losses last year, missing out on tenders in Thuringia, North-Rhine Westphalia and Lower Saxony. It did, however, win 14 other contracts. Germany’s railway grew faster than any other transport mode in 2016, the report shows. Rail passenger volumes rose by 4 per cent last year and now represent 8.3 per cent of the transport market as a whole – a slight increase on the previous year. “In a market that is growing overall, rail transport succeeded in taking market share from road transport,” said Ronald Pofalla, board member for infrastructure at Deutsche Bahn. Although passenger rail figures were promising, freight volumes moved by rail fell and rail freight’s market share continued to decline. The German government only recently announced measures to try and stimulate the rail freight market, namely by slashing track access charges. Kick the tires and light the fires, problem ofialficly solved!